Sometimes its nice to get in the car and take a drive. I live on an island that’s only about 590-something square miles so our destination is always within that. Sometimes I wish I lived in the mainland just for the road trips, I would love to get in the car with the family and drive to Vegas or Disneyland! But, I do love to take a drive down to the North Shore every so often. 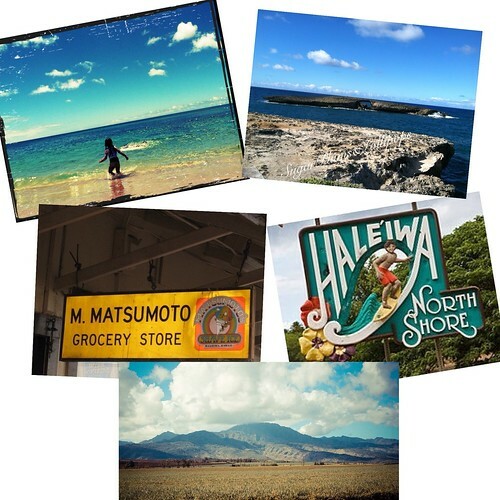 On a beautiful day you can get in the car with the windows down, drive through the Pineapple fields, and Haleiwa town, stop at the beach and take a dip in the ocean, and finish off with some good food and shave ice. That’s exactly what we did yesterday. Here are some photos that I took…. wow, i like the scenery. it seems so peaceful and very nature. Ok, I want to go to the North Shore too. Nice place.